Daisy is an English-born, Australian-raised singer/songwriter. Music has always been a part of Daisy's life! Her father is the legendary jazz drummer Tony Hicks (Backdoor, Chris Rea, Lu Lu, Paul Butterfield, Georgie Fame) and is closely related to the international recording artist Chris Rea. Classically trained in Australia, Daisy began her music career as a jazz singer, touring Australia and America. When back in Sydney, she was entertaining thousands of basketball fans at Sydney King's games and captivating audiences at some of the leading music venues in the Australian capital at just 14 years of age. At 19, Daisy deviated from tradition and an aspiring jazz career to expand her horizons and gain broader influences overseas. Landing in London, she was quickly signed by Concept Music. During her tenure with Concept, Daisy’s debut album MISTRESS broke into the UK, European and Japanese markets with her acclaimed singles “Don’t Even Go There”, “Back On My Feet” and “Match Made In Heaven”, extensive live performances, UK TV appearances and Radio airplay with Radio 1, Radio 2 and Capitol FM and leading stations in Japan and support throughout the leading clubs. Daisy’s 2nd studio album DAISY was a truly international collaboration - co-written with talented UK songwriters Aron Friedman – (Backstreet Boys, Take That, Elton John), Malcolm Maddock (Shania Twain, Stevie Wonder) and George MacFarlane (Gabrielle) and she co-produced the album with multi-CMAA award winner Australian Matt Fell. The video for the first single “If I Can’t Make It” won 2 awards from the Australian Cinematographers Society. Her 3rd album which has not been released yet, Daisy co-wrote with Stefan Örn (wrote 5 Top 5 Eurovision songs including the 2011 winner) and Jeff Franzel (New York songwriter for Josh Groban and Placido Domingo). The album was recorded and produced at Andres Bagge’s studio in Stockholm. 2 Singles from this album were remixed by The Body Bangers, 7th Heaven, Almighty and Steve More and received massive club support around the world. With unwavering support from ambient music and content providers, Daisy’s music can be heard in shopping malls, grocery stores, thousands of restaurants and retail shops, on airlines, in gyms and on TV shows throughout the UK, Europe, Asia, Japan and Australia including a placement on the US Hit TV Show “Pretty Little Liars”. Daisy has shared the stage with Gabrielle, Boy George, Gloria Gaynor, and Womack and Womack and has played countless festivals, live performances and corporate gigs around the world including an event on the Helipad (77th floor) of the Swiss Hotel – Singapore’s 2nd tallest building! 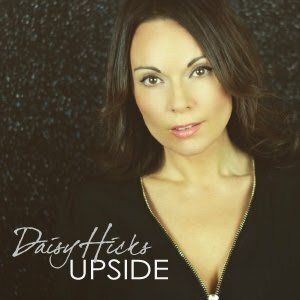 Daisy has gone back to her jazz and soul roots and is currently writing and co-producing her 4th studio album working with Curtis Schwartz (Stacy Kent, Bee Gees, Go West) and Malcolm Maddock. The new material is developing with an early Norah Jones flavour with a laid back jazzy feel and was recorded on Elton John's old piano from his home in Beverley Hills which now resides in Berry House Studios. The 1st EP "French Café" - has been getting airplay around the UK on soul, funk and jazz stations and peeked at #2 on the Official European Independent Charts and hit #6 on both the dance and cross-over charts on Starfleet Music Pool (going out to 170K international DJs). With remix by Michael Gray/John Pearn (The Weekend) and a Koop-inspired remix called the St. Tropez remix. The 2nd EP "I Chose You" comes with 4 versions - the Original recorded at Berry House Studios, was produced by Curtis Schwartz and featured Malcolm Maddock (piano), Steve Pearce (bass), Neil Wilkinson (drums) and Justin Quinn (guitar); a fantastic remix by Sir Piers (features Matt Cooper on keyboards and guitarist Francisco Sales from Incognito); a radio edit by Gill Cang (Michael Jackson, Shaun Escoffery); and an infectious remix by Ruff Diamond with heavy influences from early Sade. The 3rd EP "Upside" also comes with 3 versions - the Original recorded at Berry House Studios, a fantastic remix by Sir Piers (features Matt Cooper on keyboards and guitarist Franciso Sales (Incognito)); and a reggae-inspired remix by Ruff Diamond. Daisy's next EP "The Fall" is due out in June 2018! With a soul/house remix by the rising soul/house DJ Brian Power and a driving mix by Sir Pier and Matt Cooper that is truly out of this world. Daisy’s honey-sweet vocals soar over the beautifully crafted songs creating sublime soulful music with massive commercial appeal.